We have had a number of questions from student teams regarding the available thermal control (temperature control) for the Mission 1 mini-labs. NCESSE’s Dr. Harri Vanhala has been providing answers, and updating the Mission 1 FAQ. These questions have revealed a problem with the wording on the mini-lab operations page, and some confusion about what thermal control is available. In addition, there is new information about the lack of refrigeration once the SSEP payload is placed aboard Soyuz 30 for transport to ISS, and once it is placed aboard Soyuz 29 for its transport back to Earth. I therefore thought we should get this information out as a SSEP National Blog post given that all SSEP Teacher Facilitators should be subscribed to this blog. 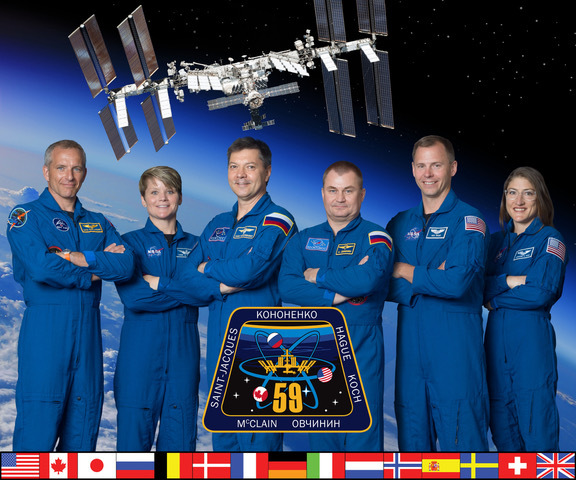 NCESSE recently received a question about the temperature in the incubator on ISS. Note that Mission 1 experiments will not have access to an incubator on ISS. We are expecting 12 FMEs to be placed in the Mission 1 payload box to ISS, one FME for each participating community. While the SSEP payload is transported to and from Kazakhstan, NanoRacks explored whether they could refrigerate some FMEs (if requested by student flight teams) and have the other FMEs unrefrigerated – so with no thermal control. It was determined that separation of the FMEs is not possible. The entire payload box needs to be refrigerated or not. It was therefore determined to be acceptable by NCESSE that if just one FME needed to be refrigerated, all could be refrigerated. The reason: all student flight teams understand that if they do not ask for refrigeration, their FME will experience whatever the temperature might be along their journey to the launch site and back. Given that transport was to take place in winter, the FMEs that were unrefrigerated would still likely experience cold temperatures, e.g. in the back of a FedEx truck bound for Houston, or the shipping environment from Houston to Kazakhstan and back. All student teams should therefore be designing experiments taking into account that no thermal control means their FME would likely experience cold temperatures. As an outgrowth of this conversation, NanoRacks has also informed NCESSE that if the SSEP payload was unrefrigerated, NanoRacks would ensure that it would not be allowed to experience freezing temperatures. But we think it is safe to assume that at least one student flight team will request that their FME be refrigerated. All student teams should therefore assume that their FME will be refrigerated to and from Kazakhstan. In fact refrigeration will ensure that the temperature is kept uniform to and from Kazakhstan. NanoRacks has informed us that refrigeration will maintain a temperature close to 2 deg Celsius. Thanks to SSEP researchers Angela Bai, Kalyn Chang, Ruyi Cheng ,Emily Thai, Ben Chang, Carina Lee, Sean Lim and Christine Situ for bringing this to our attention. That was great thinking, great initiative, and you did a service for the thousands of your colleagues working on Mission 1 to ISS. THE CLARIFICATION: Once the payload arrives at ISS, the FME payload box will be in the crew cabin, and be subject to the crew cabin temperature UNLESS a flight experiment team has requested that their FME be placed in the ISS refrigerator. More specifically, once the payload box arrives on ISS, you can choose to have your FME refrigerated at any time while on ISS, and for any duration, or allow it be at room temperature. Note, however, that any directions for special handling must be included in your proposal. “While the payload is being transported to the launch site and back from the landing site, and while in storage at the launch site awaiting loading on Soyuz 30, if any FMEs require refrigeration, the whole SSEP payload of FMEs will be refrigerated. As is described on the mini-lab operation page, there is no refrigeration possible while the SSEP payload is on Soyuz 30 for transport to ISS, and on Soyuz 29 for transport back to Earth. The expectation was that transport to ISS would take no more than 2 days, and transport back would take 1 day or less. However, we have just learned that the Russian launch team can opt to load the SSEP payload onto Soyuz 30 as early as 7 days before launch and as late as 1 day before launch. In addition, once Soyuz 30 docks with ISS, the Russians may opt to take 3 days before it is unloaded. NCESSE and NanoRacks have no control over Russian flight operations. This means that the SSEP payload can be unrefrigerated for up to 12 days from loading aboard Soyuz 30 to transfer to ISS. On the downward flight, the Russians will place the SSEP payload in the Soyuz 29 vehicle as early as 1 day before the undocking/landing day and as late as 8 hours before the undocking. The SSEP payload can therefore be unrefrigerated for up to 2 days from loading aboard Soyuz 29 to transfer back to NASA on the ground. We have assessed loss of refrigeration for up to 12 days on biological samples that are in stasis (e.g., freeze-dried, or in spore form) and have found that only a small number of biological samples will be adversely affected. Any student teams impacted by the new information above should contact Harri Vanhala as soon as possible so we can assess if there are any creative means to address the problem.